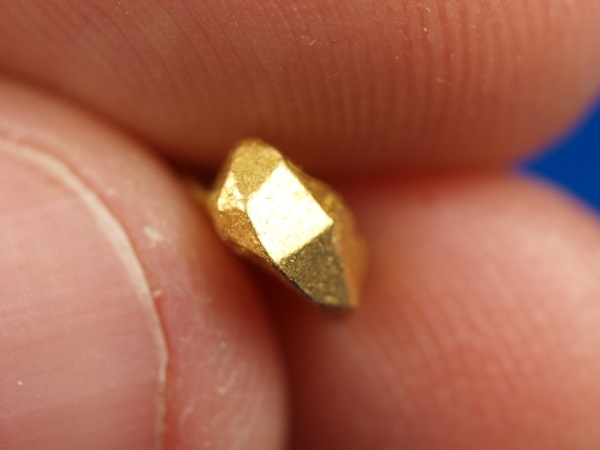 This amazing gold crystal from Venezuela has several natural faceted sides, something that is almost unheard of with natural gold! 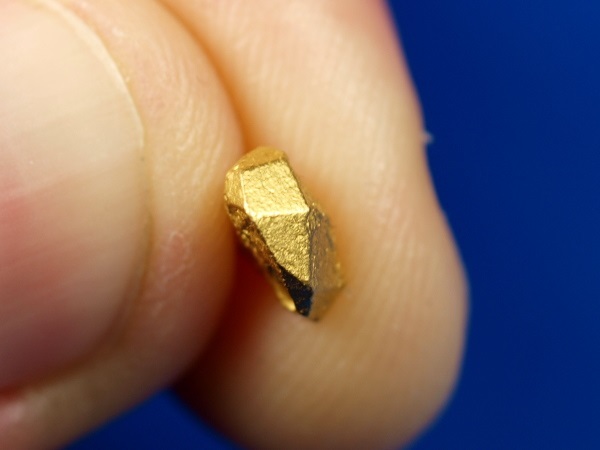 As you can see from the pictures, crisp angles clearly show facets just like if this were a diamond. 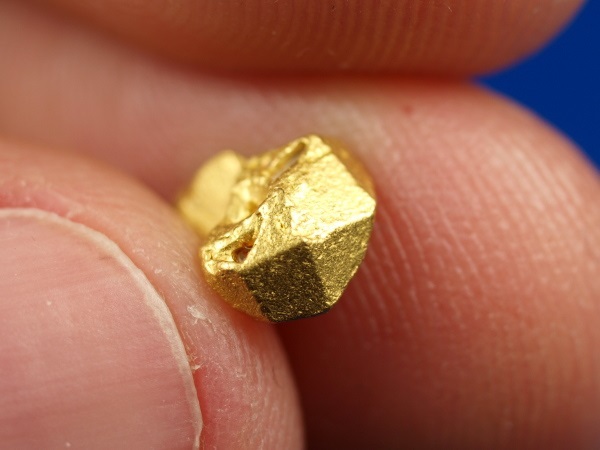 Even from Venezuelan gold, this is quite rare to find, especially with such nice shape, bright gold, and distinct edges. 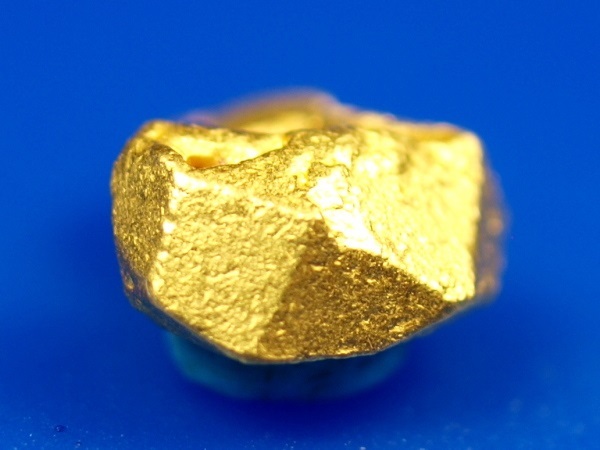 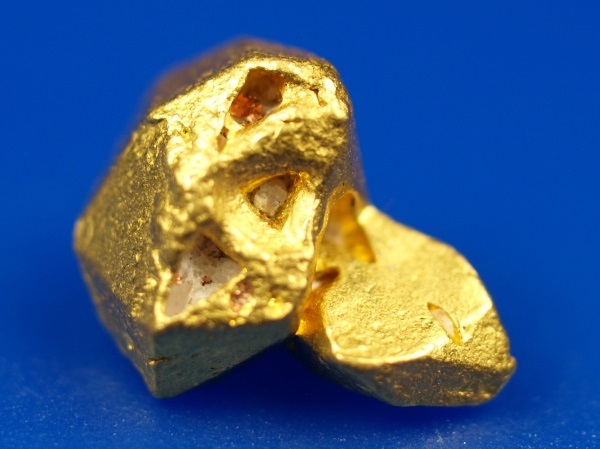 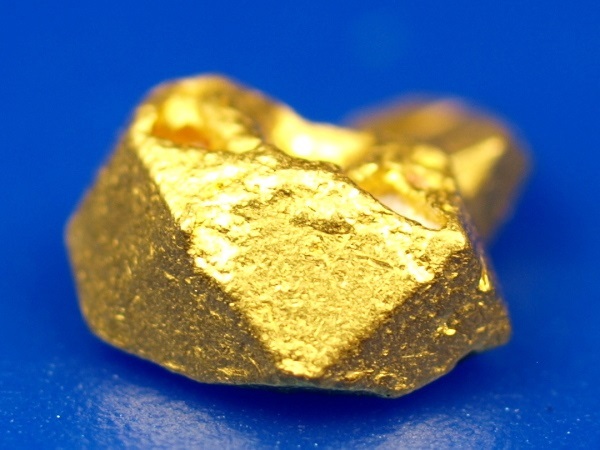 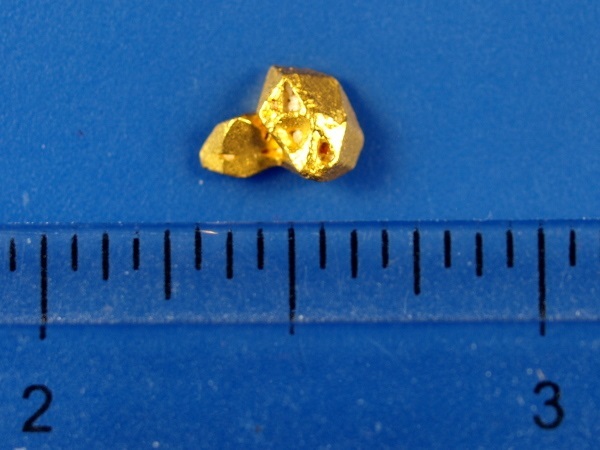 The specimen weighs 1.04 grams and belongs in a quality gold collection.